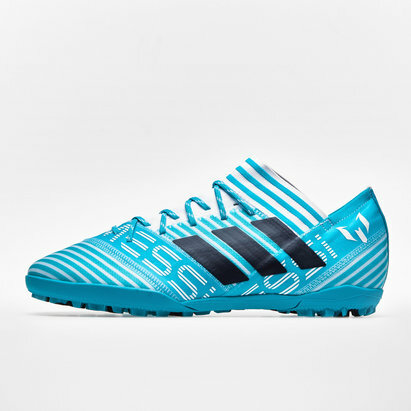 Play like your favourite football star with a pair of adidas Messi football trainers. Available in a range of styles to suit your ability, as well as both kids and adult sizes, make these trainers your footwear of choice for tearing up the pitch. Our adidas Messi Astro Turf trainers are designed for use on artificial surfaces, offering extra grip and manoeuvrability. Shop the range now.